This past Spring, Tarr, LLC, in cooperation with Transchem Inc., hosted its third, “You Be The Chemist Challenge.” Under the leadership of Shala Klink, and with the support of several Tarr employees, the event continued its mission: to promote chemistry education amongst middle school students in the Portland and surrounding Oregon communities. Furtherance of chemistry knowledge amongst our youth will promote a more informed community. It not only showcases the importance of chemistry in our daily lives, but also safe and appropriate use of chemical products. We hope the program will also inspire young people to continue their chemistry education, ultimately becoming knowledgeable professionals who will serve not only the industry but also their communities in the future. Congratulations to this year’s participants! Tarr organized the first “You Be the Chemist Challenge” three years ago, in 2014. The goal since has been to grow the Oregon competition to a magnitude that would rival other states. 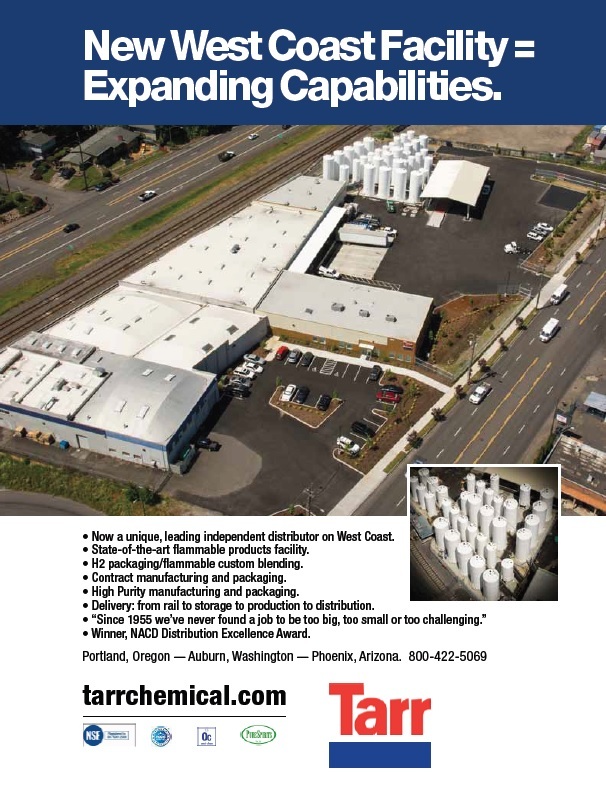 Tarr, LLC and Transchem Inc. have made it their goal to involve other companies in the future, in various communities throughout the state. That would allow for individual community, and then state competitions. How Do I Get Involved? The Challenge program provides opportunities for a diverse group of community members to get involved. While CEF coordinates the National Challenge, CEF relies on a dedicated network of volunteers to organize and sponsor Local and State Challenges. By championing the Challenge, educators, industry professionals, and community organizations have a unique opportunity to work together to promote science education. To find out more or start a Challenge site, visit www.chemed.org or contact the CEF Challenge team at 703/527-6223. Tarr welcomes input on ways to expand the “You Be the Chemist Challenge” in Portland, Oregon and other communities where Tarr has a presence, such as the Puget Sound area and Phoenix, Arizona.